Vikas Swarup hit out at Pakistan, saying its "restrictive approach" of not issuing visas to journalists to cover Rajnath's visit is not helpful in promoting close ties between SAARC countries. India was “successful” in putting across its views on terrorism and drug trafficking at the SAARC ministerial meet in Islamabad on Thursday which was attended by Home Minister Rajnath Singh, the External Affairs Ministry said on Friday. 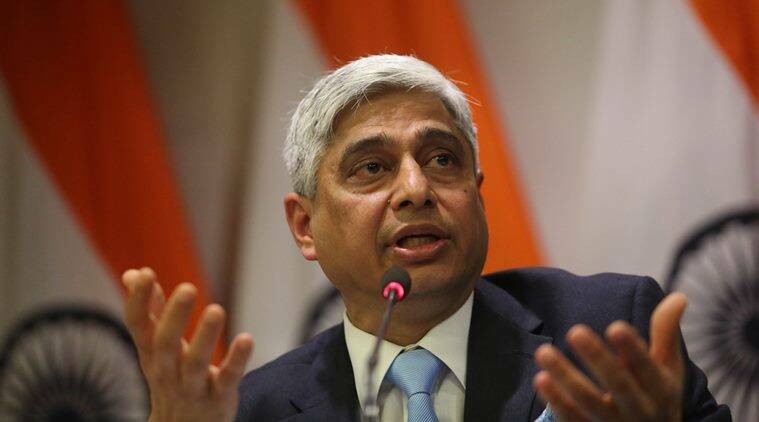 Ministry Spokesperson Vikas Swarup also hit out at Pakistan, saying its “restrictive approach” of not issuing visas to journalists to cover Rajnath’s visit is not helpful in promoting close ties between SAARC countries. Asked if India thinks Home Minister’s visit to Islamabad was successful given the chill in Indo-Pak ties, Swarup said this was a multilateral event during which there are important issues to discuss and deliberate upon including cross border terrorism, drug trafficking and fake currency notes. “Our side was definitely successful in putting across our views on all these important matters and how it is important for SAARC to have a united approach,” he asserted while referring to Rajnath’s speech. Rajnath had said mere condemnation of terrorism and terrorists was not enough and that there were “no good terrorists or bad terrorists”, in an apparent attack on Pakistan. Swarup also contradicted reports of a ‘blackout’ of Rajnath’s speech, saying as per SAARC protocol, the opening statement by the host country is public and open to the media while the rest of the proceedings are in camera, which allows for a full and frank discussion of issues. “The point at issue is that the media that accompanied Hon’ble Home Minister was not in the room and a number of you who had applied for visas did not get visas. Naturally this restrictive approach by Pakistan even for a multilateral event is not helpful in promoting close ties between SAARC countries,” Swarup said. Swarup also said there is no contradiction between what was said by the Home Minister in Parliament today and what is the general understanding of SAARC practices on the live coverage of SAARC meetings. He also asserted that there was “full coordination” between Home Ministry and the Ministry of External Affairs on Rajnath’s Islamabad visit. Asked about incidents of beating of Indian prisoner Hamid Nehal Ansari in Peshawar jail, the Spokesperson said, there has been a petition filed in a court there. Apart from seeking consular access to him, the government has also approached Pakistan asking it to allow Ansari to speak to his family. According to Ansari’s lawyer, the 31-year-old Indian prisoner, sentenced by a military court for possessing a fake Pakistani identity card, was attacked at least thrice by inmates in recent months in a Peshawar jail.